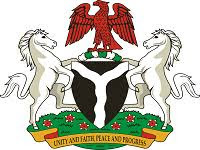 The Federal Government (FG) of Nigeria has inaugurated members of the National Coordination Implementation Core Team on SDGs goal 6. as a show of commitment, reports NaijaAgroNet. In his address to the inauguration, made available to NaijaAgroNet, the Permanent Secretary, Ministry of Water Resources, Dr Ibrahim W. Musa has inaugurated the members of National Coordination Implementation Core Team on SDGs goal 6. as a show of commitment. Dr. Musa noted that Nigeria did not achieve the targets of Millennium Development Goals (MDGs) for water and sanitation and that at the close of MDGs, national access to water supply and sanitation were 69% and 29% respectively. This implies that substantial percentages of the population are still drawing water from unprotected sources. In the same vein, about 70% of Nigerians so not have access to improved and unshared sanitation facilities. National estimate of open defecation rate is 25% which indicates that open defecation is still prevalent across the country. Deputy Director, Press and Public Relations Unit at the Ministry, Rotimi Ajayi, also quoted the Permanent Secretary maintained that it has become expedient to organize this 2-day workshop in order to provide veritable platform for key actors and players to interact and share their experiences with a view to attaining some key objectives which includes to develop co-ordination mechanism for all SDGs intended projects, agree and develop strategies action plans that will fast track the implementation of SDGs related projects in the water sector, assess the funding strategies towards the achievement of SDGs and collate data/information that would be useful for effective monitoring of progress in the sector, amongst others. NaijaAgroNet gathered that the workshop’s with the theme, ”National Coordination workshop on tracking of the achievements of SDG 6 in the Water Sector” was organized to share experiences, challenges encountered in the course of implementation of water supply and sanitation projects and proffer solutions. Earlier in his welcome address, the Director Water Resources Planning and Technical Support Services, Engr. Gerald Osuagwu said that the task of the workshop is to take advantage of the various papers presented as well as the discussion session to fashion out an appropriate mechanism to track the SDG 6 in the water sector. He noted that the main objective of constituting the National Coordination Implementation Core Team is to ensure that real time data on all water and sanitation facilities are collected and processed on regular basis and by so doing, a reliable data base on the progress of SDGs in water and sanitation projects will be achieved. The high-point of the workshop was the inauguration of the members of National Coordination Implementation Core Team on SDGs goal 6 by the Permanent Secretary.